The defeat of House Majority Leader Eric Cantor is a clear signal that American national politics is in a self-destructive spiral of extremist fear-mongering that has brought about a dangerous creeping paralysis. While his primary defeat is characterized by several pundits as a victory of “grassroots” Tea Party organizing, it is a distorted spectacle where “moderate” Republicans, whose politics are already far to the right, are sacrificed at the altar of talk radio shock discourse driven by raced-based anti-immigrant rhetoric. In a sense, it doesn’t matter which of these anti-democratic tendencies wins as long as the continued inability of Congress to enact meaningful legislation remains in effect. Another reason given for Cantor’s defeat was his perceived “arrogance” and duplicitousness. Like Marco Rubio, whose actions in backing away from immigration reform earlier this year are now more easily explained, Cantor tried to play both sides of the issue by supporting the Dream Act while making “strong border defense” and being largely noncommittal to pushing legislation. Still, both the right and the left have strong motivation to claim that his immigration stance wasn’t the reason for his defeat: the right doesn’t want to appear blatantly racist and the left doesn’t want to concede reform is dead. 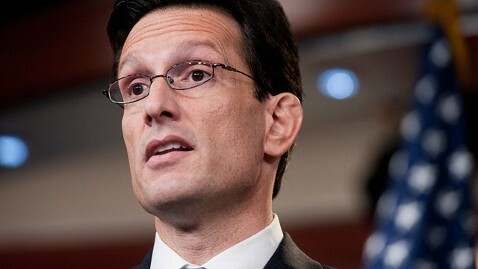 “The media will play up Cantor’s loss by claiming it was about immigration. They will be wrong, but it will be useful for the rest of us. Immigration reform is now DOA in the House of Representatives thanks to David Brat. The fractured logic of neoconservatism is clear: Let’s not blame immigration reform for the result. Yet immigration was the “surface reason” that galvanized the opposition. In addition, the heavy involvement of right-wing radio hosts like Laura Ingraham and Mark Levin, both with a track record of spreading intolerance, was cited a major factor in Cantor’s defeat. Republicans may poll as moderates on immigration reform, but their base has long been “galvanized” by overt and covert appeals to racial fear. As Ian Haney-López has demonstrated, racial attacks in US politics are increasingly coded so that race fear is used in such a way to provide the galvanizers with plausible deniability. No matter how rueful or gleeful the commentary and analysis is, we are reaching a consensus that immigration reform is dying, if not dead, perhaps for the remainder of Obama’s term. This is the message that is continually reinforced, regardless of the hand-wringing. The political game has been rigged so that even if the bogey-men Koch Brothers are on the losing side of the Cantor race, their agenda still wins. Despite a Democratic president and majority in the Senate, American politics has become a struggle between hardline or “pure” (another term associated with race-driven rhetoric) conservatism and “moderate” conservatism, which favors the same kind of legislative quagmire politics that have blocked immigration reform and allowed nonsensical debates about Obamacare and Benghazi to dominate the political discourse. When Is a Civil War a Civil War?